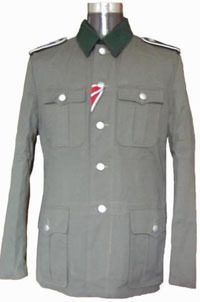 M36 summer German Uniform Tunic. Made as an exact replica of the original right down to internal stitching and staming. Comes fully lined in satin with internal suspension belt and pockets.